ANALYSIS: Remember when, back in November 2013, Qantas set up an online petition calling for Australians to voice their opposition to Virgin Australia’s proposed $350 million capital raising, called Fairgo4Qantas? At the time, Qantas expressed fears that the rights issue, which was backed by Virgin’s three major airline shareholders Air New Zealand, Etihad Airways and Singapore Airlines (SIA), would give its local rival “unlimited funds to weaken Qantas in the domestic market and cripple our international business”. 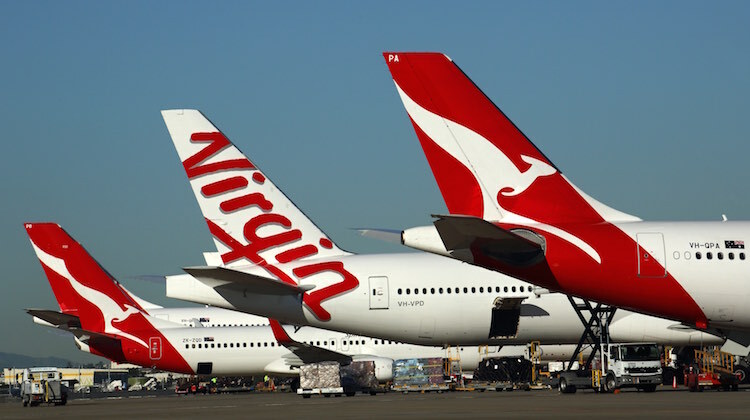 “We must not let three foreign government backed airlines take control of Virgin and ruin the Australian aviation industry for which we have fought so hard,” the 2013 petition (since taken down) read. In addition to the online petition, Qantas chief executive Alan Joyce also wrote to the federal government calling for the transaction to be blocked and lobbied for a debt guarantee and changes to the Qantas Sale Act. While unsuccessful on the first two counts, the government of the day did relax some foreign investment restrictions in the act. Fast forward to the present day and it is clear Qantas’s worst fears from a little over two years ago have not been realised. Instead, it is Virgin that is feeling the heat, with confirmation on Monday that Air New Zealand, Etihad Airways and Singapore Airlines (SIA) have once again agreed to tip in more funds into Australia’s second largest carrier, this time through a $425 million 12-month loan. Virgin said the loan would provide “additional flexibility in the short-term” as it conducted a capital structure review. There had been suggestions in the financial community some form of balance sheet repair would be undertaken, given the airline’s 2015/16 first half results had highlighted some cashflow concerns. In recent times, Virgin has been selling and disposing of aircraft – including parking Fokker 50s, selling five Embraer E190s plus the six E170s currently sub-leased to Delta Air lines, and returning some 737s to their lessors – and opened a $US125 million loan. And previously, the company raised $336 million through the sale of 35 per cent of its Velocity frequent flyer program. There has also been a focus on reducing costs, which is believed to have been ramped up in recent times. The Fairgo4Qantas “campaign” was, in part, a catalyst for the airline’s $2 billion cost-cutting program announced in February 2014, helping Qantas rebound from its $2.8 billion net loss in 2013/14 to return to profitability, have its investment grade credit rating restored and able to resume expansion in what was previously its troubled international network. With fuel prices low and capacity growth in the local domestic market subdued, it should be a bumper time for airlines. Indeed, the International Air Transport Association (IATA) expects the global airline industry to achieve $US36.3 billion in profits and return their cost of capital in 2016, with a net profit margin of 5.1 per cent. And although profitable, Virgin appears not to be getting the full benefit of the current operating environment. Its international flying is undergoing a restructure, with its Perth-Bali, Adelaide-Bali and Melbourne-Bali services due to be handed over to its low-cost unit Tigerair Australia from Wednesday, while its Boeing 777-300ERs are getting a new business class cabin in an effort to improve yields. Domestically, Virgin plans to work its 737 fleet harder with the withdrawal of the five E190s. All this is admittedly a work in progress, an extension of the airline’s transformation from the Virgin Blue days to what the airline is today. However, comparisons with its domestic rival paint a stark picture, one best illustrated by Joyce’s comments when handing down Qantas’s 2015/16 first half net profit of $688 million, a three-fold increase from the prior year. I hope Virgin still do well….and I hope they continue to well in the Aus-USA sector. I have flown once to LAX on a Qantas 747 (in business) and 5 times since on the 777. Never again will I fly Qantas. Very impressed with Virgin and the service they provide. I think the trump card is the 777. Its just a pleasure to fly on. Anything 747 or 380 size is too big, too impersonal. I recall the days when the word ‘war’ was when two or more nations had a military conflict; now these days when I read that word in a newspaper headline, I am more than likely reading it in the business pages. Since airlines started having wars it’s spread to supermarkets, mining companies, and generally become a business term you would learn of at university.